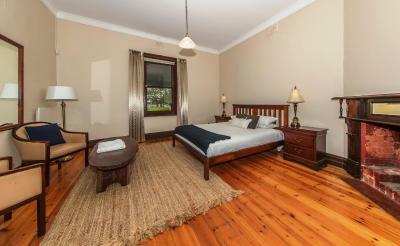 Lock in a great price for Barossa Vineyard Guesthouse – rated 8.6 by recent guests! Great location and facility for 4x couples. 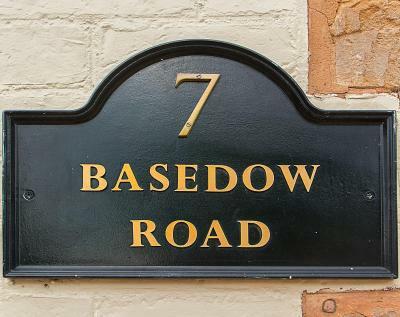 Nice bedrooms all individually heated and a large lounge with slow-combustion fire place. All the kitchen facilities we needed were in the basic pantry and we made use of the outside BBQ. We visited Vine 'Z' on Friday night and went to FermentAsian for lunch on Saturday. Could not have asked for a better lunch and the weather was perfect! At FermentAsian we had the tasting degustation 7x plates and every course was full of flavour and well presented by knowledgeable 'Grant' and his impressive wine collection. Both the bar and the restaurant were conveniently located at the end of the Street !! The house was the perfect place for our family to stay in and prepare for our daughter’s wedding. The spacious rooms gave us the areas we needed so we could all stay together and it accommodated all the preparations that getting ready for a wedding entails. The outside area was an added bonus and was perfect especially for children to have a safe place to run and play. Beds were very comfortable. Complimentary wine was a lovely touch. The whole place was large and spacious. Certainly didn’t feel like we were getting in each other’s road. Plenty of towels and blankets and pillows. So close to Tanunda shops. Location, location, location, Tanunda easy walk. Great views, great bedrooms with good heating, great shower, outside toilet also. 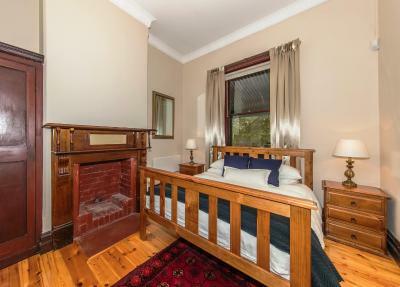 Plenty of firewood, well stocked kitchen, quiet street. Bonus easy walk to a private wine tasting at Chateau Tanunda. So many warm fuzzies. The home was in a great location. The rooms were large. The rooms were very large and comfortable. 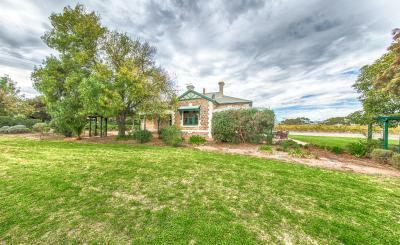 The location was perfect with a short walk to the main shops and the Chateau Tanunda vineyard out the back. It had all the facilities we needed except for a washing machine and clothes line which would have been handy after a trip to the pool. 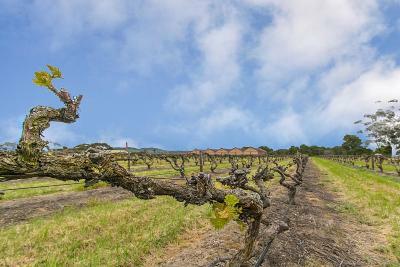 Absolutely stunning heritage home next to a vineyard. So beautiful and comfortable! 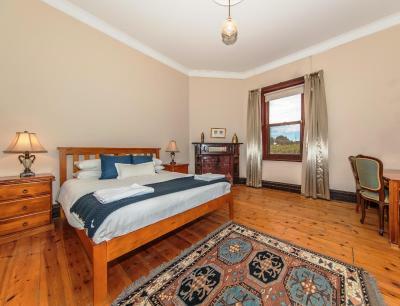 Barossa Vineyard Guesthouse This rating is a reflection of how the property compares to the industry standard when it comes to price, facilities and services available. It's based on a self-evaluation by the property. Use this rating to help choose your stay! 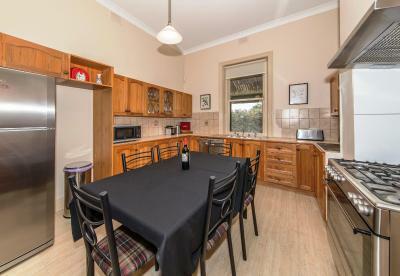 Located in the heart of the Barossa Valley, this guest house is ideally located for winery visits. 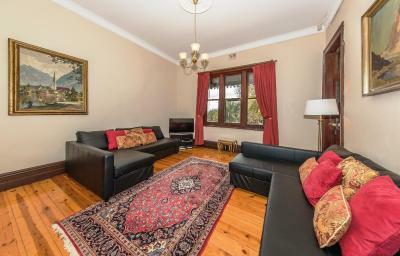 It is 6 minutes' walk from Tanunda. 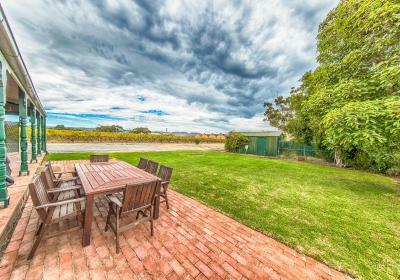 The 4-bedroom Barossa Vineyard Guest house accommodates up to 10 guests. 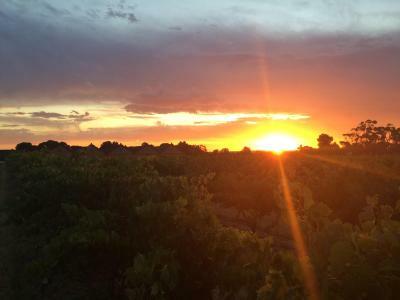 You can enjoy lovely sunset and vineyard views. 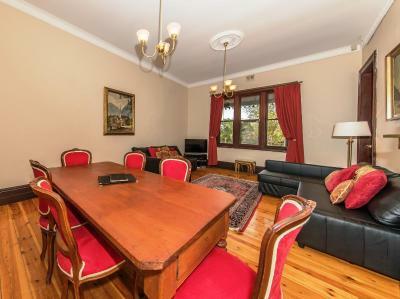 This self-contained house features a large lounge area and a separate dine-in kitchen. There are several local dining options within 10 minutes' walk. 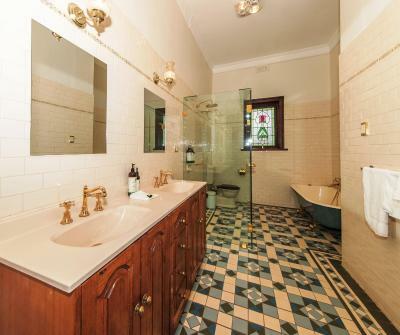 One of the bathrooms offers a deep, claw-foot bathtub, perfect for relaxing with a glass of wine. 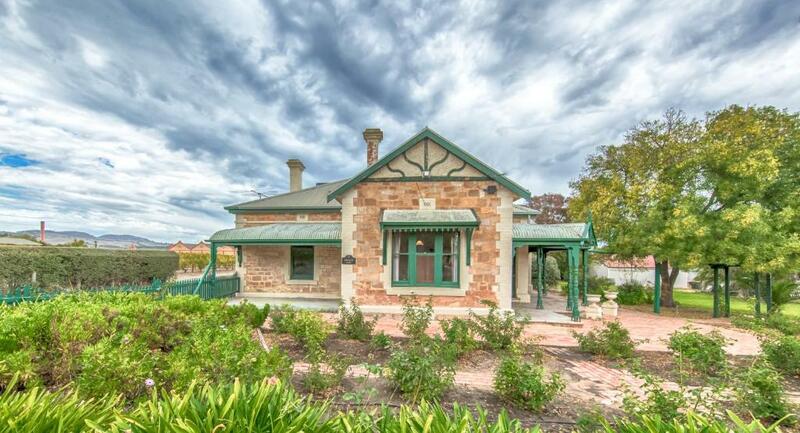 Barossa Vineyard Guest house is just 1,300 feet from Barossa Wine & Visitor Center. Adelaide Airport is 37 mi away. 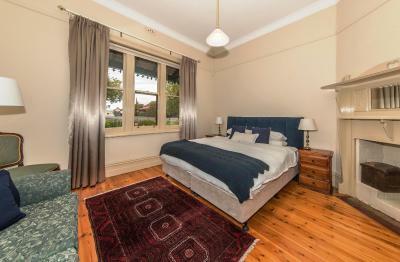 When would you like to stay at Barossa Vineyard Guesthouse? This holiday home features a microwave, air conditioning and oven. House Rules Barossa Vineyard Guesthouse takes special requests – add in the next step! Barossa Vineyard Guesthouse accepts these cards and reserves the right to temporarily hold an amount prior to arrival. Please note that there is a 3.1% charge when you pay with an American Express credit card. While there were two toilets the one bathroom proved tricky at times. The wifi didn’t work the whole time we were there. The one tv was very small, the customer service was dreadful- cleaner didn’t turn up. One toilet is not enough for a house that size. The kitchen was a little cramped with a dining setting in the middle of it but it wasn't too bad. Also clothes washing facilities would have been helpful. Just need to fix the lock on the bathroom door.